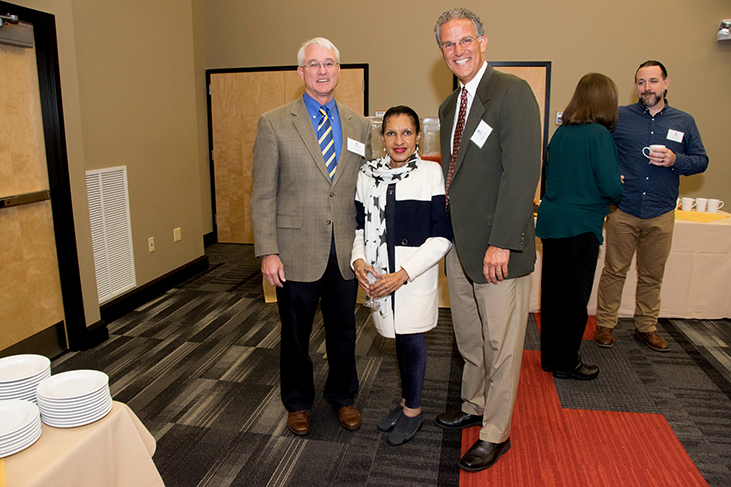 The Dennis Farm Charitable Land Trust (DFCLT), in partnership with Keystone College, hosted the Fourth Annual Dennis Farm Symposium, October 5, 2016. 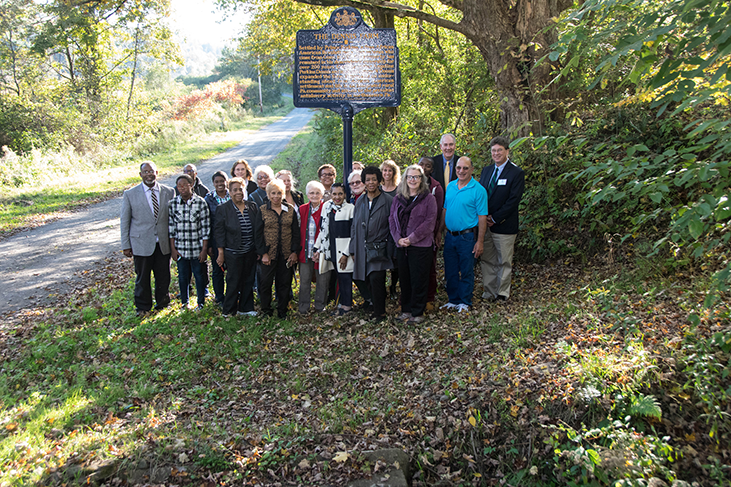 The theme of the symposium was Celebrating the 150th Birthday of Sumner B. Dennis and the House were He was Born. 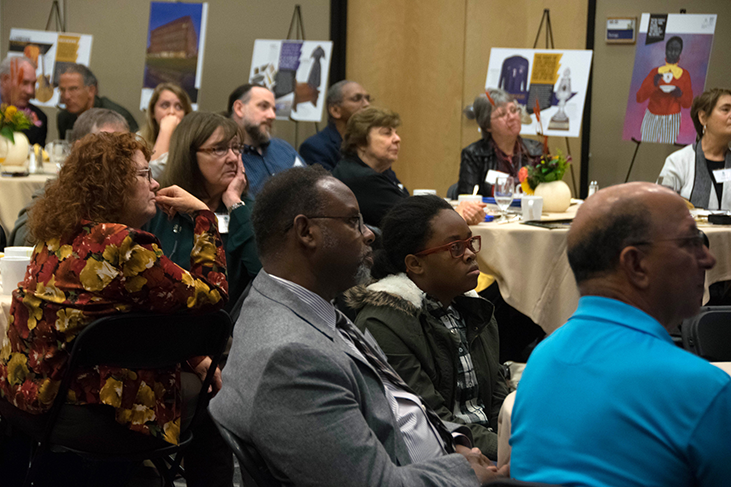 The event, also, featured the Smithsonian Institution’s traveling exhibition, A Place for All People: Introducing the National Museum of African American History and Culture. 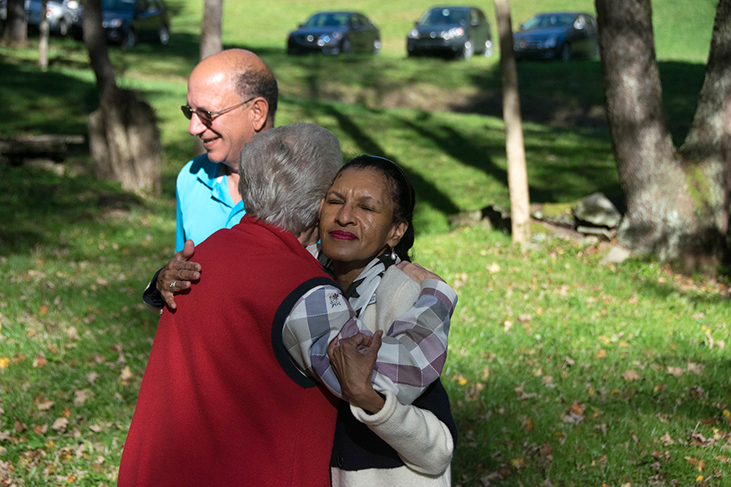 The program, exhibition and luncheon were held at Keystone College again this year, followed by tours of the farm and farm house. 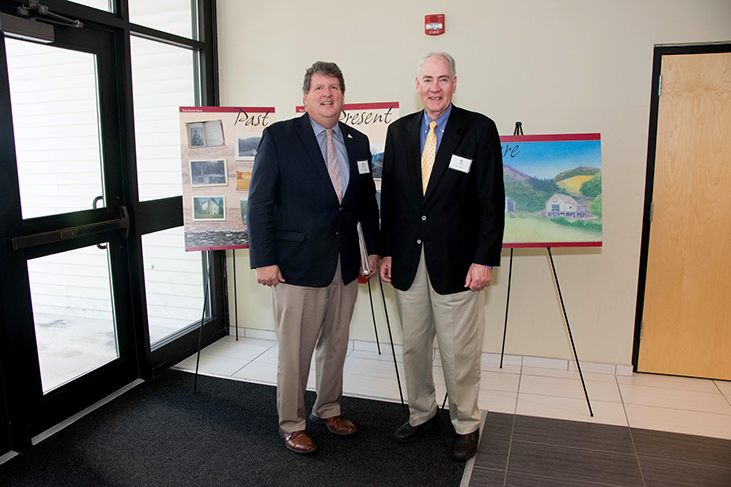 George Stark of Cabot Oil & Gas, which funded the luncheon portion of the event, served as master of ceremonies. 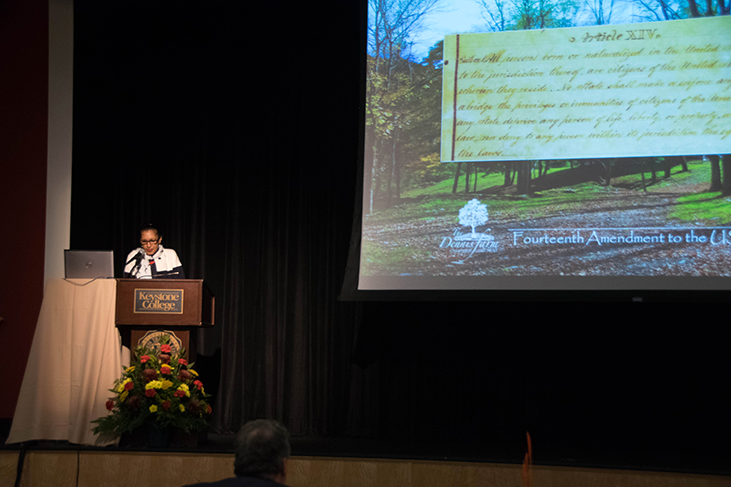 Following eloquent welcoming remarks from Keystone College President David Coppola, the program proceeded with a year-in-review presentation by DFCLT Board member, Wade Catts, MA, RPA, of the Commonwealth Heritage Group. 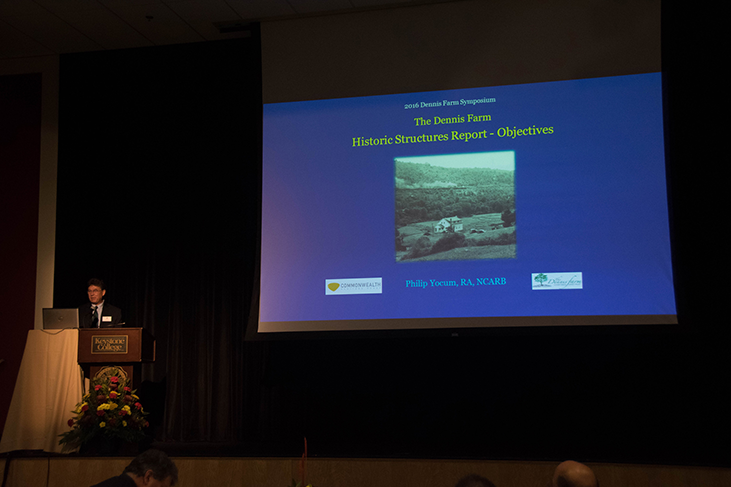 Architect Philip Yocum, who designed the elegant pole barn that protects Dennis farm house and heads the restoration, then gave a presentation, Dennis Farm Historic Structures Report: Goals and Objectives that outlined the purpose of the Historic Structures Report (HSR), which is required before any historic building can be restored or renovated. 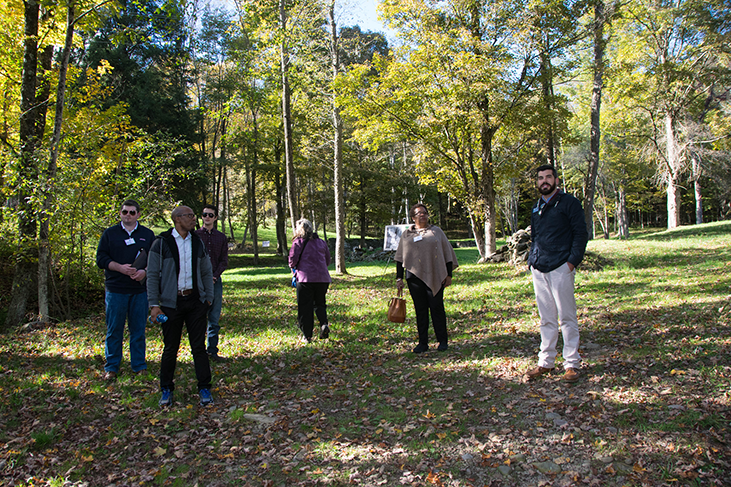 Later, during the tour of the farm, Yocum led symposium attendees on a tour of the interior of the house, describing in detail what the restoration will entail. 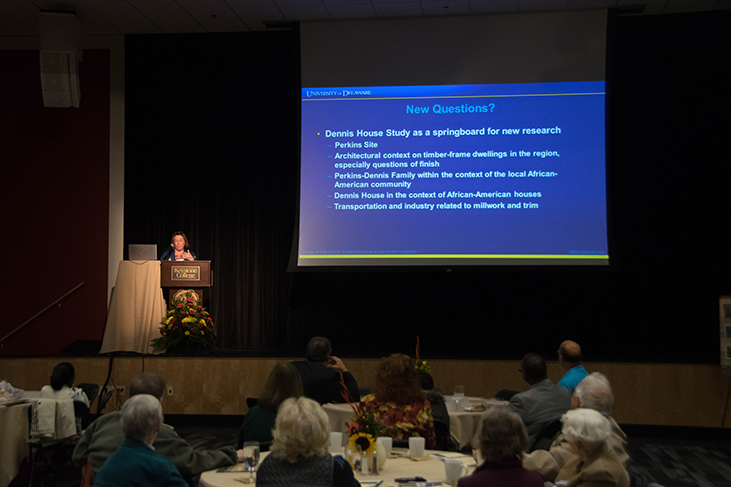 Yocum introduced the symposium keynote speaker, Rebecca Sheppard, Ph.D., interim Director of the Center for Historic Architecture and Design at the University of Delaware and Director of the Mid-Atlantic Historic Buildings and Landscape Survey. Sheppard and a team of her students worked with Yocum on the research for the HSR this year. 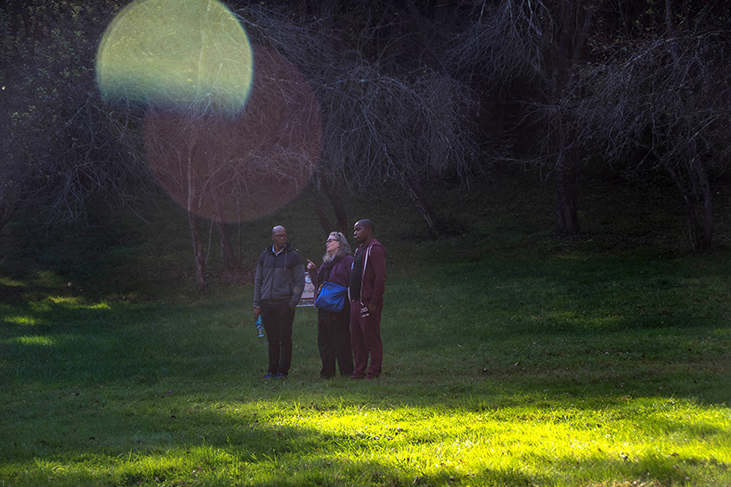 She described herself as a “forensic” architect who examines the innumerable pieces of buildings from cellar to roof to determine when and how they were constructed. 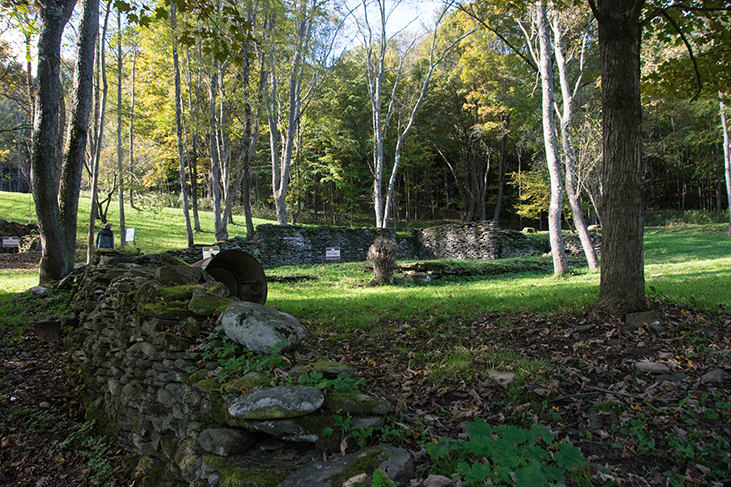 In her keynote address, Piecing Together the Fragments: Reconstructing the History of the Dennis Farm House, Sheppard gave a compelling presentation about the construction history of the house gleaned from its materials and design, within the context of similar houses built in the Susquehanna County around the same time. Using architectural drawings and photographs, Sheppard brought to life the history of the house and her team’s invaluable work. 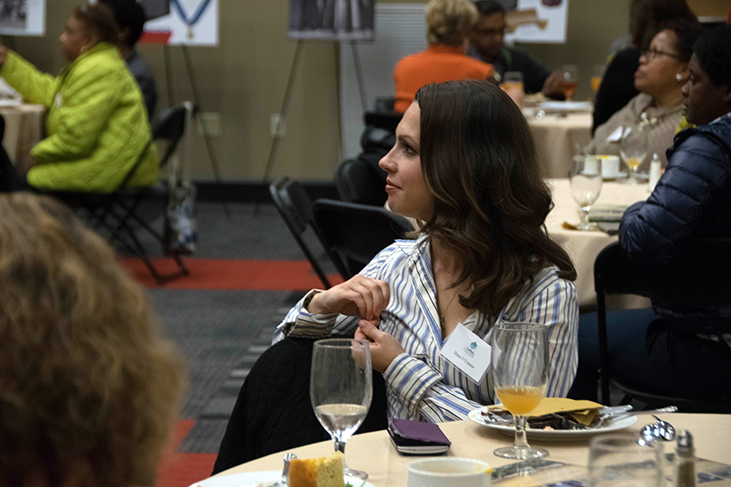 The luncheon address, presented by DFCLT President Denise Dennis, traced the life of her great-grandfather Sumner B. Dennis (1866-1950) and the times in which he lived. Born in the farmhouse three weeks after the United States Senate and House of Representatives passed the Fourteenth Amendment to the Constitution, Sumner Dennis’ parents named him in honor of Charles Sumner, the US Senator from Massachusetts who fought for the amendment. Indeed, Charles Sumner was a champion of civil rights for African Americans before and after the Civil War. Sumner Dennis passed away during the administration of President Harry Truman who desegregated the US Armed Forces and included Civil Rights on the Democratic Party platform in 1948. 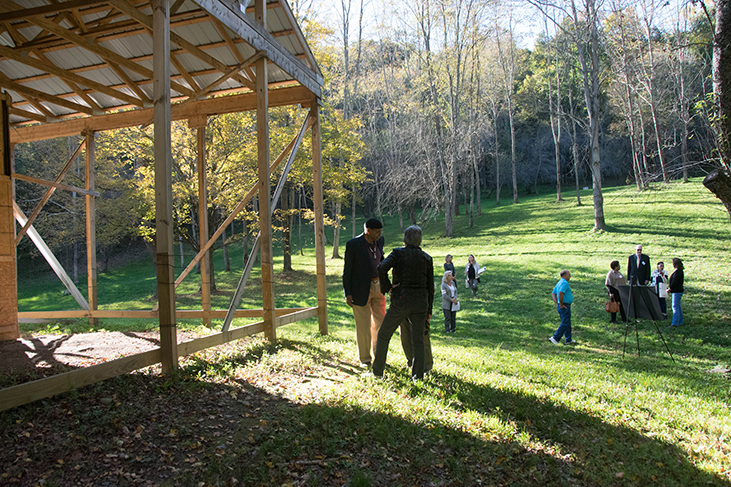 After the luncheon, symposium attendees journeyed up Route 11 to the farm, which was resplendent under the sun. 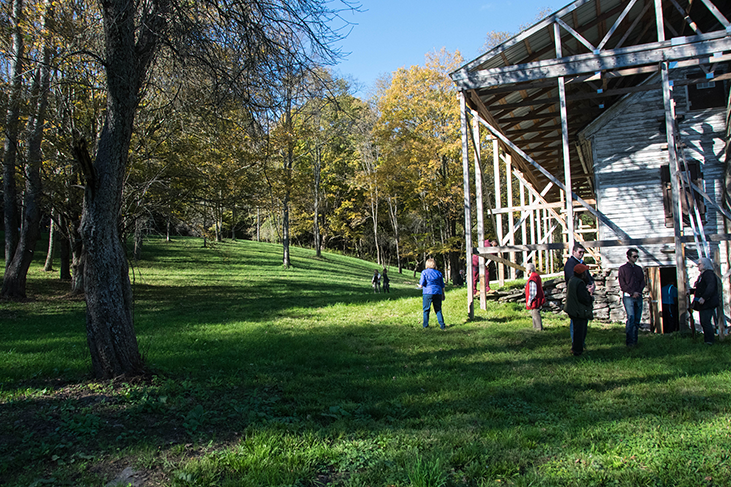 Visitors enjoyed the undulating emerald green slopes under the towering trees, thanks to the extraordinary work of caretaker John Arnone, and joined architect Phil Yocum for a fascinating architectural tour of the farmhouse. Guests were asked to complete a questionnaire about the symposium and the consensus, by all who submitted theirs, was that the day was a success.